Leo is a zooplankton ecologist who is investigating the zooplankton community at the Bermuda Atlantic Time-Series (BATS) site in the Sargasso Sea. His research integrates classical morphological analysis with molecular approaches to describe the temporal and vertical distribution of species, while also addressing broader spatial and temporal questions related to zooplankton phylogeny, population genetics and dispersal. Leo received his PhD from the University of Oviedo, where he studied plankton ecology and population dynamics in the Cantabrian Sea. 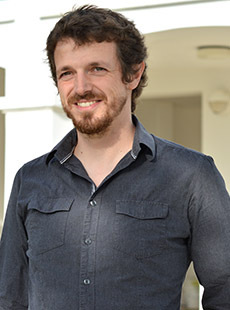 As a postdoctoral researcher at the University of Connecticut, Leo began investigating the spatial and temporal patterns of genetic variation in marine organisms. Together, with his collaborators, Leo studied the phylogeny of calanoid copepods and the phylogeography of key species in temperate oceans, applying next-generation sequencing techniques to explore the connectivity and persistence of calanoid copepod populations in highly advective systems. Blanco-Bercial, L., Cornils, A., Copley, N. and Bucklin, A. (2014). DNA barcoding of marine copepods: assessment of analytical approaches to species identification. PLoS Curr, 6: 1-22. Cornils, A. and Blanco-Bercial, L. (2013). Phylogeny of the paracalanidae giesbrecht, 1888 (Crustacea: Copepoda: Calanoida). Molecular Phylogenetics and Evolution, 69: 861-872. Blanco-Bercial, L., Bradford-Grieve, J., and Bucklin, A. (2011). Molecular phylogeny of the Calanoida (Crustacea: Copepoda). Molecular Phylogenetics and Evolution, 59: 103-113. Blanco-Bercial, L. and Alvarez-Marques, F. (2007). RFLP procedure to discriminate between Clausocalanus Giesbrecht, 1888 (Copepoda, Calanoida) species in the Central Cantabrian Sea. J Exp Mar Bio Ecol, 344: 73-77. Blanco-Bercial, L., Alvarez-Marques, F., and Cabral, J. (2006). Changes in the mesozooplankton community associated with the hydrography off the northwestern Iberian Peninsula. ICES Journal of Marine Science, 63: 799-810.